Saturday 16 May 2015, 10 a.m. to 12.30 p.m.
8.1: visit to the National Museum of Ireland, Kildare Street, Dublin. 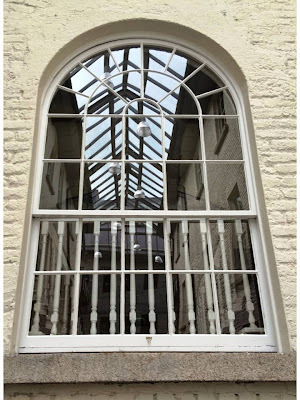 8.2: The Chester Beatty Library, Dublin Castle. Our second visit on this morning’s field trip is to the Chester Beatty Library at Dublin Castle. This library has been described by the Lonely Planet Guide as “not just the best museum in Ireland, but one of the best in Europe.” It is the only museum in Ireland to win “European Museum of the Year” and is rated at No 2 in TripAdvisor’s list of recommended cultural attractions in Dublin. The library’s rich collections from countries across Asia, the Middle East, North Africa and Europe open a window on the artistic treasures of the great cultures and religions of the world. Manuscripts, miniature paintings, prints, drawings, rare books and decorative arts complete this amazing collection – all the result of the curiosity and efforts of one collector, Sir Alfred Chester Beatty (1875-1968). Beatty moved to Ireland in 1950. When he died, his entire collection was bequeathed to a trust for the benefit of the public. He was Ireland’s first honorary citizen and was given a state funeral when he died in 1968. In its diversity, the collection captures much of the richness of human creative expression from about 2700 BC to the present. The highlights on display include Egyptian papyrus texts, beautifully illuminated copies of the Bible and the Qur’an, and European mediaeval and renaissance manuscripts. The Western treasures of the Library include some of the earliest sources on papyrus for the Bible and a great library of Manichean texts. The Biblical papyri, dating from the 2nd to the 4th centuries AD, include the earliest known copies of the four gospels and the Acts of the Apostles, the Letters of Saint Paul, the Book of Revelation and various early Old Testament fragments. These texts were discovered in Egypt in 1929. Beatty had seen the codices and from Cairo he sent a coded telegram (to disguise his interest) to Eric Millar of the British Museum for his opinion. Millar replied (also in code), strongly encouraging Beatty to acquire as much as he could. The discovery and acquisition of the Biblical papyri was first made public in The Times on 19 November 1931. Before this find, the earliest and most important manuscripts of the Greek New Testament were parchment codices from the fourth and fifth centuries. Only a few small fragments of papyrus with portions of the New Testament from an earlier date were known at the time, and most of these were too small to be of much significance. The discovery of the Chester Beatty New Testament papyri caused a sensation because they were at least 100 years older than the most important parchment codices at that time. 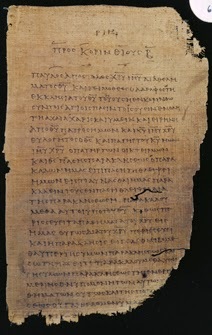 These papyrus manuscripts include the earliest surviving codex containing all four Gospels and the Acts of the Apostles in one codex, the earliest copy of the collection of Saint Paul’s Letters (dated ca 200), and the earliest copy of the Book of Revelation, as well as many other early or unique versions of homilies, epistles or pseudo-canonical texts. By acquiring these manuscripts, the Chester Beatty Library became one of the major centres in the world for the study of the Bible and early Christian texts. The library has started to digitise these manuscripts with the first phase of the project completed. 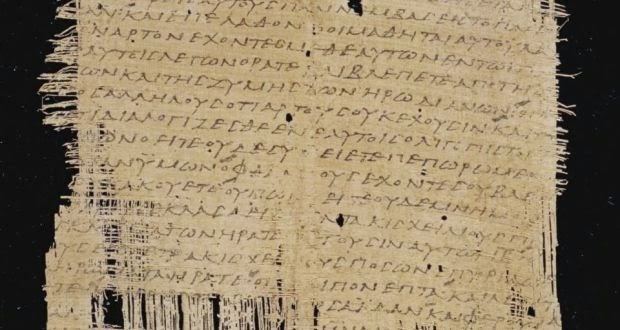 The work involved a partnership with the Center for the Study of New Testament Manuscripts in Texas (csntm.org), which involved the digitisation of more than 5,000 images from the manuscripts. The process revealed some text that had not been seen before. This fragment is among the oldest-known Gospel texts. It contains part of Saint John’s account of the Crucifixion, including the verse where Christ asks Saint John to take care of his mother. One of the most striking items in the collection is CBL BP I (P45). This codex contains the four Gospels (Matthew, Mark, Luke and John) and the Acts of the Apostles. The fragmentary condition of this codex means that some folios preserve more of their text than others. They would have originally measured about 25 x 20 cm. 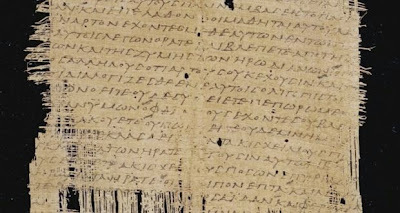 Until its discovery, only small fragments of the single Gospels on papyrus were known, and it was believed that this grouping of texts did not begin until a much later date. The codex shows that the Gospels and the Acts were being read together in one volume much earlier than many expected. The folios containing Saint Mark’s Gospel and most of Saint Luke’s Gospel are the oldest known copies of these texts. 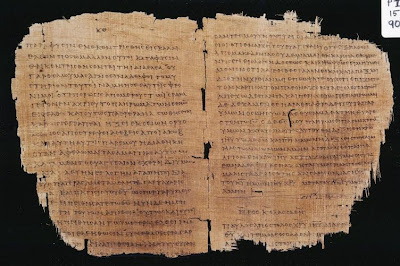 This is the earliest known copy of the Pauline Epistles and the early date of this codex and the content make it extremely important for the study of the text of Saint Paul’s letters. This folio contains perhaps one of the most famous of Saint Paul’s sayings, “Love is patient; love is kind; …” (I Corinthians 13: 4-7). This contains chapters 9 to 17 of the Book of Revelation. It is likely that the codex originally contained the entire book, but the beginning and end of the manuscript have been lost. Nevertheless, the portion of text that survives is the largest single portion of the text of the Book of Revelation preserved on papyrus. The codex consists of 51 leaves, along with additional fragments, which contain a significant portion of the Book of Genesis. The original manuscript was comprised of 66 leaves, or 132 pages which would have measured approximately 28 x 18 cm. The folios are in varying states of disrepair, with considerable portions of the lower leaves now lost. This codex would have originally contained 108 leaves, or 216 pages, of which fragments of 55 pages survive. This is not only the earliest manuscript in the Chester Beatty Biblical papyri collection, but until the discovery of the Dead Sea Scrolls in the mid 20th century it was the oldest known manuscript containing a portion of the Old Testament. This manuscript consists of two fragmentary leaves that preserve text from the Book of Jeremiah. The clear but irregular hand indicates that this was written at the end of the 2nd century or beginning of the 3rd century. The Hebrew Collection contains a small number of volumes. The Hebrew manuscripts were mainly acquired in the 1930s and 1940s from the dealer and collector Dr Abraham Shalom Yahuda (1877-1951). The majority of the Hebrew texts date from the 18th and 19th centuries and consist primarily of Torah and Esther scrolls. Most of these would appear to have originated in Italy, as many are written in an Italian quadrate script. The collection has a number of illuminated manuscripts including a 16th century Italian Hebrew Bible (CBL Heb 772), a 13th century Hebrew Yemenite Pentateuch bound together with a copy of Tijan’s Grammatical Introduction to the Bible (CBL Heb 761) and a Hebrew cabalistic and astronomical codex from Spain (CBL Heb 762) dating to ca 1762. The collection also includes a number of Samaritan texts, including two important Pentateuchs (CBL Heb 751 and Heb 752), the only books Samaritans share with Jews. The Samaritan text is written in a variant of the Old Hebrew alphabet, related to but distinct from the Hebrew alphabet used in Judaic texts. Some of the papyrus manuscripts in the Library retain their original bindings, composed of boards of papyrus covered with leather on the outside. The majority of documentary texts are single documents or fragments of documents relating to business affairs, taxes, wills and other matters of daily life. Among the Greek documentary papyri acquired by Beatty is a roughly made codex, largely blank but containing several tax receipts dated to AD 339-345. On closer inspection it was discovered that the codex was made of a number of sheets glued back to back and doubled over to form a single quire. In places were the adhesive had loosened, an earlier text was revealed on the inner surface. Conservation was undertaken at the British Museum to separate the sheets of the codex, where it was discovered that the re-used papyri came from two long rolls containing the official correspondence of the Strategus of the Panopolite nome (AD 298-300), primarily relating to the impending visit of the Emperor Diocletian to Panopolis (CBL PapPan I & II). This unique record has provided historians with a wealth of information on Roman administrative practices – and bureaucratic idiosyncrasies). Coptic texts form one of the largest groups within the Chester Beatty Papyri Collection. Coptic is the latest stage of the written form of the Egyptian language. It borrows most of its letters from the Greek alphabet but with the addition of several Coptic letters for sounds not found in Greek. The majority of the Coptic texts are Christian in subject matter and include biblical manuscripts, homilies and accounts of martyrdoms from the period ca AD 300-800, although there are also some fragments of literary and business documents. The most important and largest collection of non-Christian texts on papyrus acquired by Chester Beatty is the remarkable Manichaean codices, written in Coptic and dated to around AD 400. The now separated folios are housed in over 1,000 frames and include many unique sacred texts of a lost religion that once rivalled Christianity and Islam and that spread from North Africa to the Near East. The Iranian prophet Mani, who was put to death in AD 276, believed that he was the successor of Christ. He absorbed the teachings of Christianity, Buddhism and Zoroastrianism and preached a new religion based on the dual forces of light and dark. The Byzantine manuscripts in the library include Gospels, Biblical commentaries, homilies, liturgical works and devotional books that range in date from the 10th to the 15th century. Many are illuminated with miniatures and decorated initials. Beatty acquired most of these manuscripts from dealers in Paris in the 1920s. His correspondence contains letters from dealers in Istanbul offering Byzantine objects or textiles for sale, but in general he declined. Among the earliest manuscripts are three dating from the 10th and 11th centuries (CBL W 131, W 132 and W 133) that were originally in the Russian monastery of Panteleïmon on Mount Athos. The present plight of Christians in the Middle East is a reminder that south-east Turkey, Syria and parts of Iraq were once predominantly Christian. The language spoken was Syriac until it was replaced by Arabic in the 13th century. The area had many important centres for book production and fine illuminated manuscripts were created by and for churches in the region. Early Syriac book design and illumination influenced other mediaeval Christian decorated manuscripts. The Syriac collection includes several early Gospel books and choir books, as well as an illuminated copy of the Harclean version of the Gospels, written in Syriac and dating from the 12th century (CBL Syc 703). The most important text is Ephraem’s Commentary on the Diatessaron of Tatian (CBL Syc 709), ca 490-510. Although parts of the Diatessaron, a harmony of the four Gospels, is preserved in later translations, the Chester Beatty manuscript is the earliest copy known of this text and the only one in the language in which it was originally written. It is a unique document in the history of Christianity for which Chester Beatty received a special papal blessing from Pope Pius XII in 1959. The Trustees of the Library have since made two additional acquisitions of leaves relating to this codex. The Armenian and Western European manuscripts from medieval, Renaissance and modern times, prints, early and fine books and bindings complete a remarkable conspectus of the arts of manuscript production and printing from many cultures and periods. The Armenian Collection includes manuscripts, primarily the texts of the Four Gospels, painted miniatures and detached metal covers. These were acquired by Chester Beatty over a 30-year period in the 1920s and the 1930s. Some of most impressive material, however, was not acquired until just after World War II (1946-48). The highlight of this collection is a 13th century Gospel book (CBL Arm 558), acquired from the Phillipps Collection in 1947. Beatty employed several Armenian scholars to write the descriptive entries for his manuscripts, but a published catalogue did not appear until 1958. Over 6,000 individual items, mainly manuscripts and single-page paintings and calligraphies, make up the Islamic Collections. This includes the Qur’an Collection with more than 260 Qur’ans and Qur’an fragments and is one of the most important collections of Qur'ans outside the Middle East. Some date from the late 8th and 9th centuries and they include the work of the leading calligraphers of the Islamic world. The gem of the collection and one of the most treasured objects in the library is the splendid Qur’an copied in Baghdad in the year 1001 by Ibn al-Bawwab, one of the three greatest mediaeval Islamic calligraphers. The East Asian Collections include a fine series of albums and scrolls from China, the largest collection of jade books from the Imperial Court outside China and a large collection of textiles and decorative objects. The Japanese holdings contain many superb painted scrolls from the 17th and 18th centuries, woodblock prints by Hiroshige and Hokusai and many others as well as decorative art objects. (Revd Canon Professor) Patrick Comerford is Lecturer in Anglicanism, Liturgy and Church History, the Church of Ireland Theological. These briefing notes were prepared for a field trip on 16 March 2015 as part of the Church History Elective (TH 7864) on the MTh course (part-time). 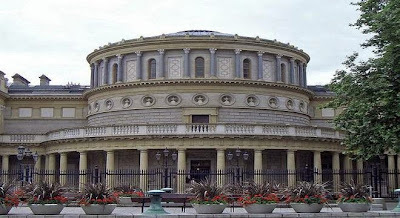 The National Museum of Ireland was founded as the Museum of Science and Art, Dublin, on 14 August 1877 by Act of Parliament. The decision to establish a state-run museum was prompted by the Royal Dublin Society (RDS). The 1877 Act transferred the buildings and collections of the RDS to state ownership, and the collections were enhanced with the transfer of other collections from places such as the Royal Irish Academy (RIA) and Trinity College Dublin (TCD). The new museum building on Kildare Street opened to the public in 1890. The new museum housed coins, medals and significant Irish antiquities from the RIA, including the Tara brooch and Ardagh chalice, ethnographic collections with material from Captain Cooke’s voyages from TCD, and the collections of the Geological Survey of Ireland. These were joined by material from the decorative arts and ethnographical collections of the RDS along with their Irish collections of antiquities, minerals and plants. The building on Kildare Street was designed by Thomas Newenham Deane and was used to show contemporary Irish, British and Continental craftsmanship. State involvement in running the Museum allowed for steady funding and a connection with other state museums in London and Edinburgh. After the foundation of the Irish Free State in 1922, the old RDS buildings at Leinster House were chosen to house the new parliament (Dáil). Responsibility for the Museum passed to the Department of Education in 1924. In 1984, it was transferred to the Department of the Taoiseach, and in 1993 to the new Department of Arts, Culture and the Gaeltacht (later Arts, Heritage, Gaeltacht and the Islands). In 2002, care of the Museum passed to the Department of Arts, Sport and Tourism before, finally, being established as a semi-state autonomous agency under its own board in 2005. Additional museum premises include Collins Barracks, Dublin (previously the Royal Barracks) and the Museum of Country Life at Turlough Park, Co Mayo, beside a Venetian Gothic country house also designed by Thomas Newenham Deane. The Irish Archaeological Collection in the National Museum is the primary repository of ancient Irish artefacts and an indispensable source for researchers into the development of Irish civilisation from prehistoric times until the end of the Middle Ages and beyond. The period covered by the exhibitions extends from the Mesolithic through to the end of the mediaeval period, and includes internationally known treasures that we should find of particular interest this morning such as the Ardagh Chalice, the Tara Brooch and the Derrynaflan Hoard. We should try especially to see the collections of mediaeval ecclesiastical metalwork and the Viking Dublin assemblage. Christianity was introduced into Ireland mainly from Roman Britain during the fifth Century AD, around the time of the collapse of the Roman Empire. The resulting exposure to new influences meant that new styles and technical skills were acquired and added to the repertoire of Irish craftsmen. Some objects that were produced during this time have become important national treasures. They include the Ardagh Chalice, the Derrynaflan Chalice and Paten, the Moylough Belt Shrine and the Tara Brooch. But there other, less well known treasures, to watch out for too, including the Tully Lough Cross, found offshore of a small crannóg in Co Roscommon; a small, decorated metal bucket from a crannóg in Clooneenbaun, Co Roscommon; and two wooden buckets with ornate metal mounts from Clonard, Co Meath and Derrymullen, Co Laois. Small tomb-shaped shrines used to venerate the bones of saints have survived, with relatively complete examples found in the rivers Shannon and Erne. A collection of mounts decorated in the Ultimate La Tène style from Donore, Co Meath, are likely to be from a larger tomb-shaped reliquary that would have been carried in procession with the aid of carrying poles. From the monastery of Dromiskin, Co Louth, there is a small stone reliquary inside of which there was a little wooden box containing metal objects, including a key. Early mediaeval craftsmen were skilled stone carvers who produced a series of splendid high crosses bearing biblical scenes. The collection contains casts of eight of the finest examples made in 1898-1908 by an Italian craftsman, Orlandi, as well as fragments of original crosses from a number of monastic sites. There are some carved stone slabs bearing cross designs from monastic sites, including fine examples from Inishkea North, Co Mayo, and Carrowntemple, Co Sligo. A pillar stone from Aglish, Co Kerry, bears a cross design but it also carries an inscription written in the ogham alphabet, the earliest alphabet used to write in the Irish language. The Aglish Stone is one of around two dozen pillar stones in the collection that carry ogham inscriptions. The arrival of the Vikings at the end of the eighth century marked the beginning of a period in which monasteries were attacked and many church treasures were looted or destroyed. However, the Vikings were traders as well as raiders and their commercial activities brought large amounts of silver into Ireland, some of which has been discovered in ingot hoards. The Vikings also introduced new types of objects and novel art styles, which led to developments in native metalwork and decorative arts. The easy availability of silver during the ninth and 10th centuries led to new fashions in brooch design with bossed-penannular, thistle and kite-shaped brooches being the popular forms. During the 11th and 12th centuries, a Renaissance in Irish metalwork drew heavily on the Viking Ringerika and Urnes art styles. Notable treasures from that period include the croziers from Kells and Lismore, the Shrine of Saint Lachtin’s Arm, and the shrine made around 1100 AD to house a bell associated by tradition with Saint Patrick. Perhaps the best-known treasure of the later period is the Cross of Cong whose principle patron was Turlough O’Connor, King of Connacht and High King of Ireland. The Cross of Cong is an early 12th-century ornamented cusped processional cross, which was, as an inscription says, made for Tairdelbach Ua Conchobair (died 1156), King of Connacht and High King of Ireland to donate to the Cathedral in Tuam, Co Galway. The cross was later moved to Cong Abbey at Cong, Co Mayo, which explains its name. It was designed to be placed on top of a staff and is also a reliquary, designed to hold a supposed portion of the True Cross. This gave it additional importance as an object of reverence and was undoubtedly the reason for its elaborate beauty. It is considered one of finest examples of metalwork and decorative art of its period in Western Europe. Hāc cruce crux tegitur quā pas[s]us conditor orbis. With this cross is covered the cross on which suffered the Maker of the World. A prayer for Tairrdelbach Ua Conchobair, for the King of Ireland, for whom this shrine was made. Pray for Muireadhach Ua Dubhthaigh, the Senior of Erin. Pray for Domnall mac Flannacáin Ua Dubthaig, Bishop of Connacht and Comarb [Successor] of [Saints] Comman and Ciaran, under whose superintendence the shrine was made. Pray for Mael Isu mac Bratdan O Echan, who made this shrine. The Ardagh Hoard, which includes the Ardagh Chalice, is a collection of metalwork from the eighth and ninth centuries. The collection was found in 1868, and includes the chalice, a much plainer stemmed cup in copper-alloy, and four brooches, three elaborate pseudo-penannular ones, and one a true pennanular brooch of the thistle type. The chalice ranks with the Book of Kells (in Trinity College Dublin) as one of the finest known works of Insular art, indeed of Celtic art in general, and is thought to have been made in the 8th century. Elaborate brooches, essentially the same as those worn by important lay people, appear to have been worn by monastic clergy to fasten vestments of the period. The hoard was found in 1868 by two boys, Jim Quinn and Paddy Flanagan, digging in a potato field on the south-western side of a rath (ring fort) called Reerasta, near the village of Ardagh, Co Limerick. The chalice held the other items, covered by a slab of stone; the pieces must have been buried in a hurry, probably temporarily, as though the owner probably intended to return for them at a later time. The brooches found with the chalice show that it was not buried until the Viking period. The chalice is a large, two-handled silver cup, decorated with gold, gilt bronze, brass, lead pewter and enamel, which has been assembled from 354 separate pieces. This complex construction is typical of early Christian Irish metalwork. The main body of the chalice is formed from two hemispheres of sheet silver joined with a rivet hidden by a gilt-bronze band. The names of the apostles are incised in a frieze around the bowl, below a girdle bearing inset gold wirework panels of animals, birds, and geometric interlace. Techniques used include hammering, engraving, lost-wax casting, filigree applique, cloisonné and enamel. Even the underside of the chalice is decorated. The Tara Brooch is a Celtic brooch dating from ca 700 AD. It is probably the most impressive of over 50 elaborate Irish brooches that have been discovered. It was found in 1850 and rapidly recognised as one of the most important works of early Christian Irish Insular art. Made ca 700 AD, the seven-inch pseudo-penannular brooch is made primarily of silver-gilt and is embellished with intricate abstract decoration, including interlace on both front and back. It was made in many pieces, with much of the decoration on small trays or panels that were then fixed into place. When it was found only one panel of decoration was missing, but several more have now disappeared, apparently before 1872, when it entered the collection of the Royal Irish Academy. The RIA later transferred its collection of antiquities to the National Museum. This is probably the most spectacular, and one of the best preserved, of several dozen high-status brooches found in Britain or Ireland, but mostly in Ireland. Although similar in style, each has a completely individual design in detail. Precious metals are used, but only semiprecious stones. The design, the techniques of workmanship (including filigree and inlaying) and the gold, silver, copper, amber and glass are all of high quality, and exemplify the advanced state of goldsmith skills in Ireland in the seventh century. Like most brooches of the period, it contains neither Christian nor pagan religious motifs, and was made for a wealthy patron, almost certainly male, who wanted a personal expression of status. Although the brooch is named after the Hill of Tara, traditionally seen as the seat of the High Kings of Ireland, the Tara Brooch has no connection with either the Hill of Tara or the High Kings of Ireland. The brooch was supposedly found in August 1850 on the beach at Bettystown, Co Meath, 50 km north of Dublin. The finder, a peasant woman (or her two sons), claimed to have found it in a box buried in the sand, though many think it was in fact found inland and she claimed it was found at the beach to avoid a legal claim by the landowner. It was sold to a dealer and then to a Dublin jeweller, George Waterhouse, who was already producing Celtic Revival jewellery. He renamed it the Tara Brooch to make it more appealing. The Derrynaflan Chalice is an 8th or 9th-century chalice, and was found as part of the Derrynaflan Hoard of five liturgical vessels discovered on 17 February 1980 at Derrynaflan, the site of an early Irish abbey near Killenaule, Co Tipperary. The chalice was found with a composite silver paten, a hoop that may have been a stand for the paten, a liturgical strainer and a bronze basin inverted over the other objects. This group is among the most important surviving examples of Insular metalwork. The hoard was probably hidden in the 10th to 12th centuries, at the time of Viking raids and dynastic turmoil. Derrynaflan was an important monastic foundation pre-dating the Viking raids, and later became a Cistercian abbey. The Derrynaflan Hoard was discovered in 1980 by Michael Webb from Clonmel and his son, also Michael, using a metal detector, and their discovery was kept secret for many weeks. The behaviour of the Webbs, and nearly seven years of litigation, culminating in the Supreme Court action where they unsuccessfully sought over £5,000,000 for the find, led to new legislation. Before an extensive programme of urban archaeological excavation in Dublin, from 1961 to 1981, the main archaeological evidence for the Viking presence in Ireland came from a small number of burial sites and stray finds, many of them from rivers. Some ninth and 10th century Viking graves were discovered in coastal locations such as Arklow, Co Wicklow, Ballyholm, Co Down, Eyrephort, Co Galway, and in more extensive cemeteries at Kilmainham and Islandbridge on the banks of the River Liffey, in Dublin. These Viking graves were furnished with grave-goods, including weapons such as swords and spears, together with jewellery and personal items. The presence of well-furnished female graves, and of craftsmen’s tools and weights and scales for engaging in commercial transactions, show that the early Viking presence in Ireland was not simply characterised by the activities of marauding raiders. Finds of Viking hoards with silver ingots, hack silver and coins emphasise the commercial aspect of the Viking presence in Ireland. The exhibition on Mediaeval Ireland (1150-1550) contains three galleries entitled Power, Work and Prayer, reflecting the three-fold division of mediaeval society – nobles, common people and clergy. The lifestyle of nobles is explored, while surviving arms and armour reflect the distinctive characteristics of warfare in mediaeval Ireland. The exhibition looks at the different forms of agriculture (pastoral and arable) practices. Finds from urban excavations illustrate Ireland’s import trade and the various crafts and industries operating in towns. The Church in Ireland changed fundamentally in the 12th century, although many older church traditions survived. This exhibition also looks at religious practice and devotion as well as church furnishings, including a fine selection of late mediaeval reliquaries: book shrines, bell shrines and croziers. 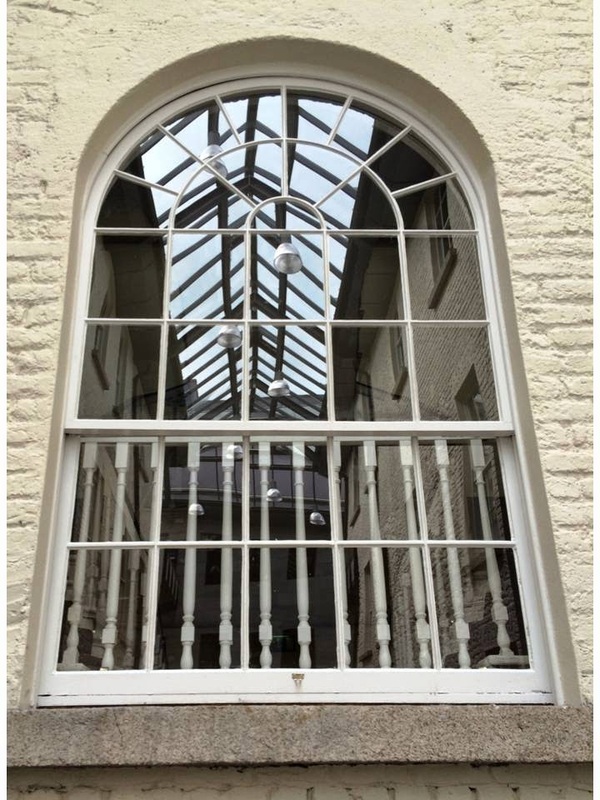 8.2: The Chester Beatty Museum, Dublin Castle.